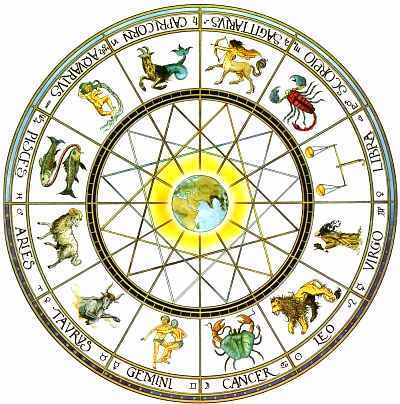 The Sun storms back into your sign, and we have the spring equinox and the start of the new astral year. 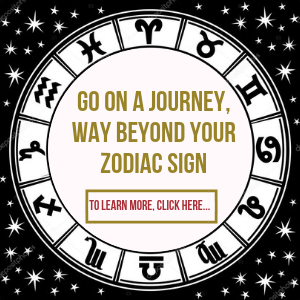 With four planets now in your zodiac sign, this gives you awesome power to initiate new beginnings in your situation, or to reinvigorate the important ongoing strands you have. However, you may find yourself resisting any restrictions which are in any way limiting. Mars, continuing its influential journey in your zodiac sign, forges a wonderful angle to Neptune the planet of dreams. Any creative project that is inspiring you can take on so much greater importance. Yet there could be an innate feeling of restlessness that grips you. If so, try to understand what this may be about. In general, you can feel much more sensitive than usual. The Sun powers into the part of your situation influencing your future. With your ruler Mercury also collaborating with the planet of originality Uranus, it's possible that your plans could take a turn in a different direction. But if so, this could prove to be hugely exhilarating. New, interesting and varied friends can also capture your imagination. Socially, you can truly sparkle, Gemini. Whether you tend to seek out the limelight or not, the chances are it is going to seek you out this week. Your talents and abilities can be lauded by others, and you can find yourself with greater motivation to fulfil your goals and ambitions. But if your life role has become rather samey, dull and predictable, you may decide that a complete change is needed to reinvigorate things. Life can prove to be rather fluid this week, but that will just make it all the more exciting for you. Even if you're someone who traditionally has been rather welded to routines, you can find yourself being much more open to new opportunities experiences and people. Travel and higher education could be part of this, but something you do spontaneously will create the greatest thrill. The more practical influence of this week can see you grappling with your long-term financial situation and anything to do with property, business and pensions. If one situation is seen to be rather intractable, you could have a flash of inspiration which sees you unlock the solution. Even if this is somewhat novel, don't discount it, as it could turn out to be a really brilliant success. 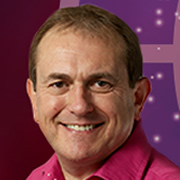 This week is going to help to invigorate your relationship sector even more. All sorts of interactions with others can sparkle as the Sun powers into Aries, and it's also an opportunity to rejuvenate those that already exist. If you are looking to build a business alliance with anyone, a clear understanding of what each of you will do will ensure your boundaries are kept intact. If you're someone who likes everything to run in your world like a well oiled engine, you may not feel a need to reorganize your home to make it any more efficient. But there may be other parts of your existence which can benefit from a fresh eye. Even having a deep spring clean could prove gratifying this week, and you never know what this might unearth in the process. The start of the new astrological year brings with it an opportunity for you to flourish when it comes to interests and your personal expression. You really are going to be stepping up several gears, and feeling more outgoing, playful and sociable. With Mercury combining with your ruler and also Uranus, it could be the most unexpected thing this week that excites you most. All home, family and personal issues come under the astral spotlight, but in a very positive way. This can be a time when you could be very productive as far as improvements to your environs and also your closest ties. Mars is forging a splendid link this week with Mercury too, perfect for home-based hobbies and interests. But there may be times when you need a little more quiet. Your ideas are sometimes so forward-thinking that others are not always ready to receive and appreciate them as much as you would like. But now you enter a period of the year when you can absolutely sparkle, and the way you come across to others can become very difficult for them to resist. This can have wonderful implications both for your work and also personally. You can find yourself being incredibly inventive about the ways in which you can boost your income. In fact, you might find a real flow of optimism bolsters your thinking. It's still probably not the best of times to be too extravagant with Venus in retrograde, but if you have an unusual concept which really inspires you, do believe in it and follow your own vision, Pisces.